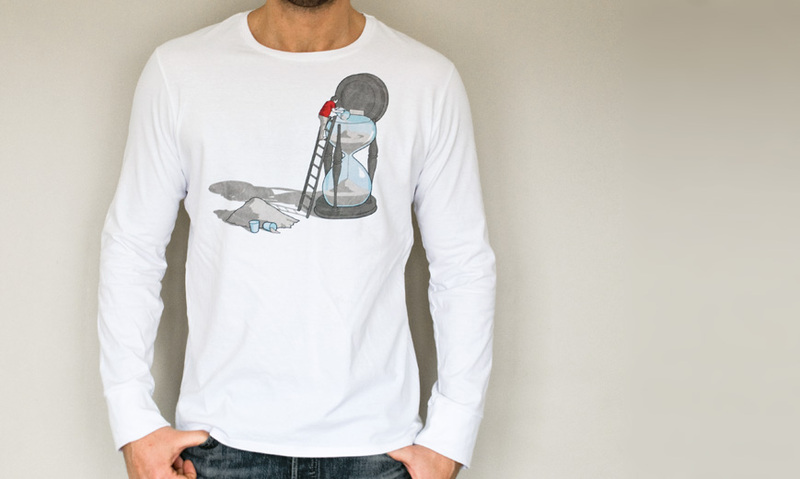 Making Up for Lost Time | Beyaz Erkek Uzun kollu t-shirt | itself. A design by Jeff Sheldon of USA. 6 color discharge print on our super soft white itself Long Sleeve Tee. Perfect fit. Crew neck collar. Ribbed long sleeve cuffs.